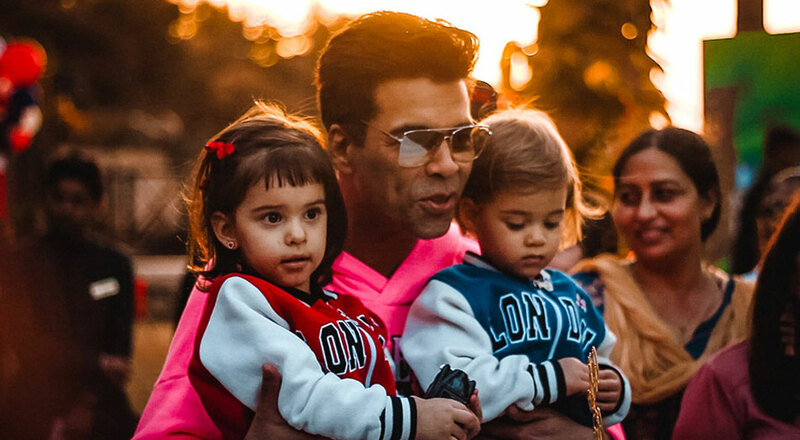 Karan Johar’s twins, Yash and Roohi, who were born via surrogacy in 2017, turned two on Thursday and their proud papa threw a big bash to celebrate his kids’ birthday. KJo threw their birthday bash at a five star hotel in Mumbai and it saw many of his friends in attendance. It was a London-themed party with British soldiers, a replica of Big Ben and a telephone booth in place. 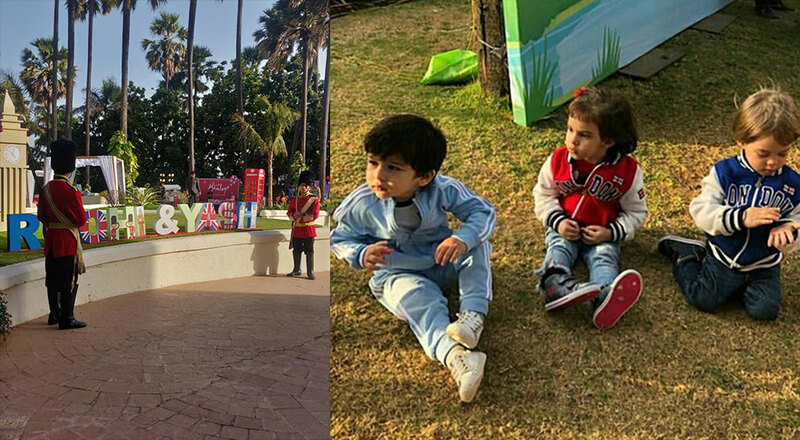 The party saw several celebrity kids like Shah Rukh Khan’s son AbRam, Kareena Kapoor Khan and Saif Ali Khan’s son Taimur Ali Khan, and Shahid Kapoor’s daughter Misha Kapoor among others in attendance. Varun Dhawan also joined in the celebrations. 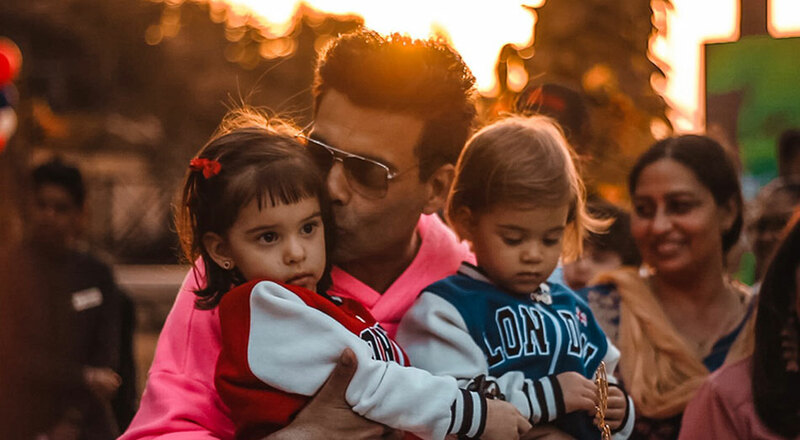 Papa Johar held his little munchkins and sang happy birthday enthusiastically, as the twins got ready to cut the cake. The three-tiered cake had several pictures of Yash and Roohi printed on it and it had ‘We Love You’ written on top. Yash clapped along with others as they cheered for the duo. 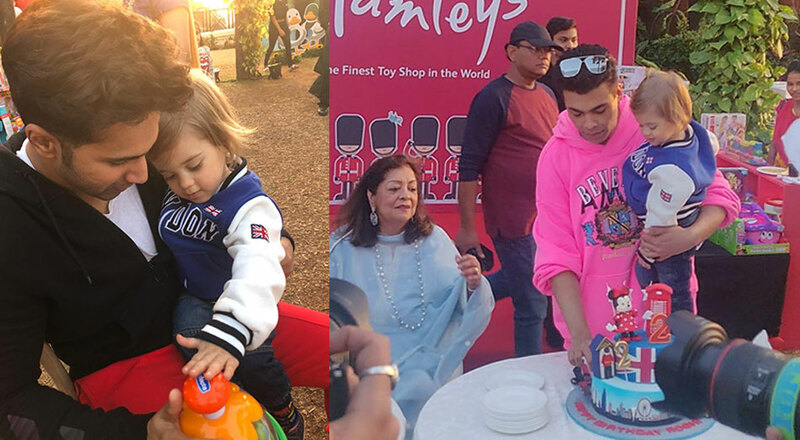 Seems like the kids had a great time at the birthday bash, and so did Karan.